A big cycling event and carnival in Singapore, OCBC Cycle 2011, into its 3 year since its birth in 2009, a time of cycling fun for the community, promoting healthy and active lifestyle, from the big turnout of cyclists for the 60km, 40km and 20km routes. 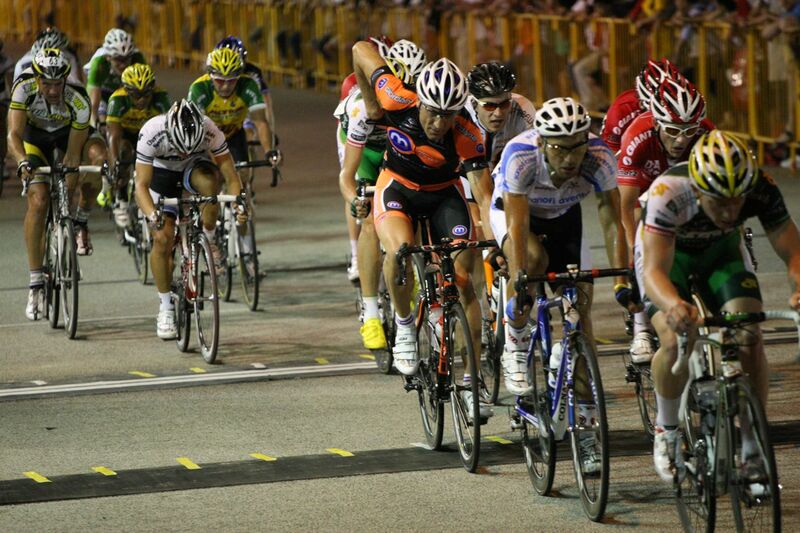 The professional racers too were in the thick of action, with a night Criterium race on Saturday. With my media pass, courtesy of Spectrum Worldwide and thePRelement, I was able to get close to the racing/cycling action, wearing a media vest and becoming a sports photojournalist. Overall, it was a great learning experience for my sports photography, learning the ropes on being part of media, interacting with fellow media, photographers and PR staff. 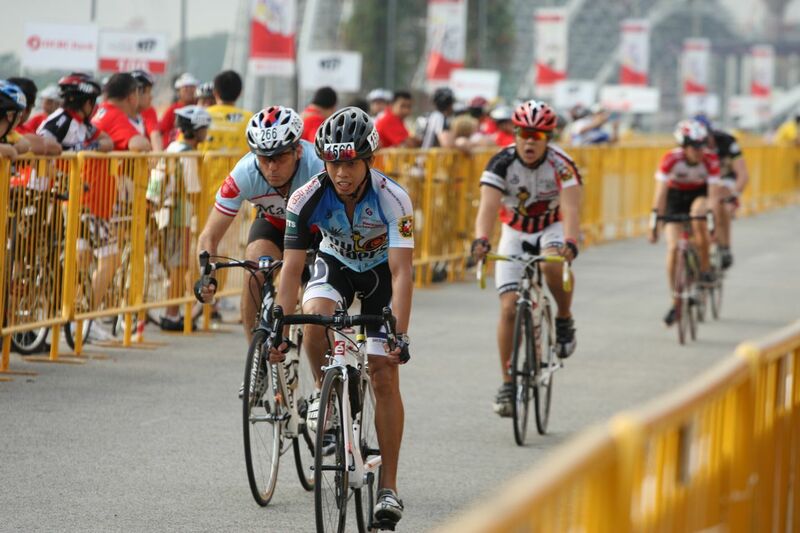 Many thanks to Ben & Kelvin of thePRelement for their assistance and support during OCBC Cycle 2011. On Saturday 5th March 2011, covering the different criterium races, giving me a chance to learn more about professional cycling competition, it is a great spectacle too! Cycling is not just your road cycling or off-road cycling events, that’s a lot more! Watching the professional riders, racing in the night, under the flood lights around the F1 Pit Stop Building and Singapore Flyer, it’s a mini F1 race. The kids races in the afternoon were of great fun and joy, capturing the various happy, carefree, cute and funny faces of the kids cycling. It’s awesome and wonderful that these kids learn and have fun with cycling as a sports and recreational activity. On Sunday 6th March 2011, with the exception of the 60km route, the 40km, 20km and iFlyForHope races were community based, that emphasis on active healthy and sporting lifestyle and the overall turnout was awesome. The riders were split into different waves, avoiding “riders/cyclists bicycle jams” and that was a great idea by the organisers. The atmosphere and spirit was nice, with good vocal support from the sidelines. A special mention to the iFly Singapore Cycle of Hope race, a fund raising ride organised along with National Cancer Centre, to spread the awareness on cancer patients, cancer treatment and their experiences they went through. This special race was graced, participated and supported by staff of National Cancer Centre, cancer survivors and supporters for the fund raising event. Among the supporters was Dr William Tan, a person who is a great role model despite his physical and medical condition. 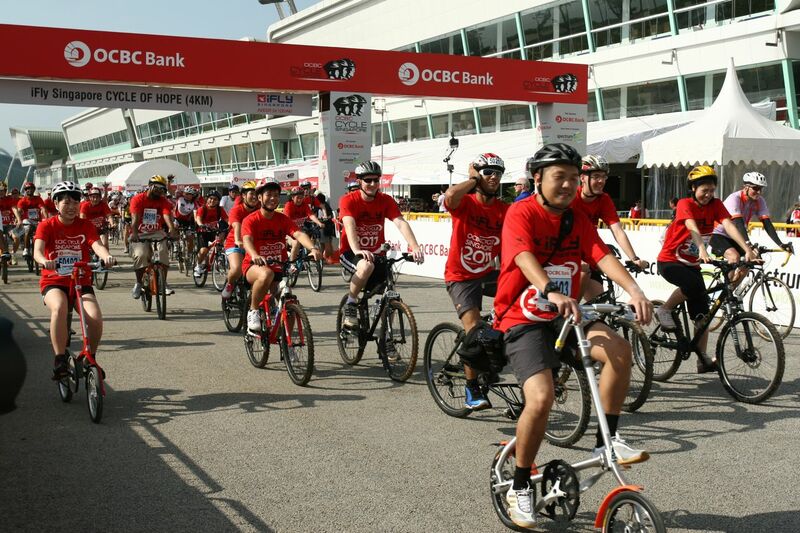 It’s great to see OCBC Cycle, a major sporting event in Singapore, supporting a noble social cause and their movement. 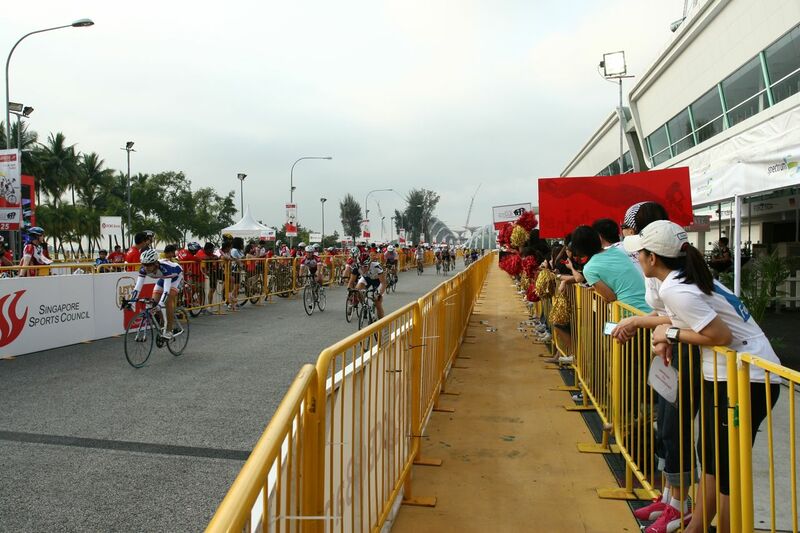 Looking forward to another great OCBC Cycling event in 2012 ! 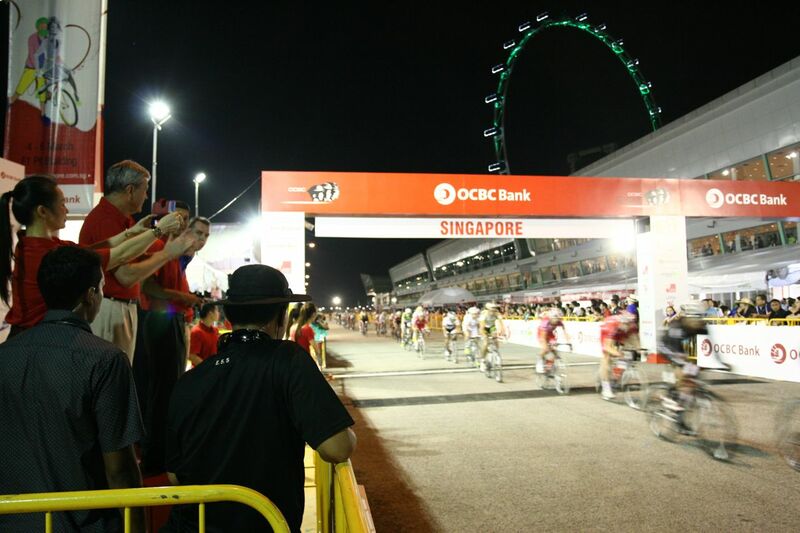 ……………Mass participation cycling event becomes fixture in Singapore Sports Calendar for the Next Two Years 2 September 2010 Singapore Spectrum Worldwide announced today that OCBC Bank will return as title sponsor for the 2011 and 2012 editions of OCBC Cycle Singapore. Evidenced from the growth in cycling as a sport in Singapore as well as the growth in participation in our cycling event we can now consider OCBC Cycle Singapore a marquee event in the Singapore sporting calendar said Chris Robb Managing Director Spectrum Worldwide.Miss Koh Ching Ching Head of Group Corporate Communications at OCBC Bank said The growth in this years event signifies that Singaporeans interest in cycling is on the rise.